Oase 45383 1/4 hp Floating Fountain with lights | Fountain City Art Ctr. Built as an enduring focal point or as the life of the party for a special event. 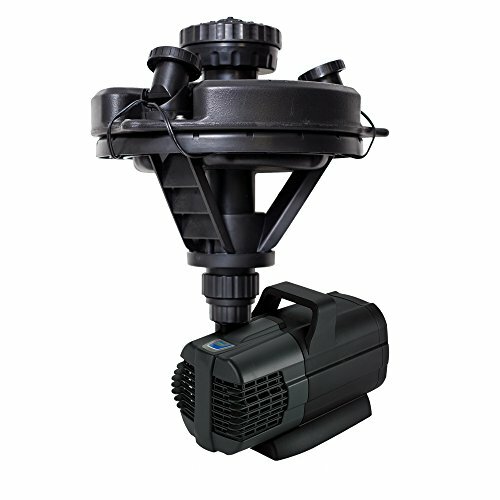 It can be installed in a lake or pond, either artificial or natural. The Floating Fountain with Lights is eco-friendly and environmentally smart, improving the overall water quality. It's ready to connect and comes as a complete set with a pump, float body, mooring lines, lights and 3 nozzles. The Floating Fountain with Lights creates a water display that can reach 14 feet in height or 20 ft. in width.